Why I introduced neurofeedback to my NYC psychotherapy practice…. 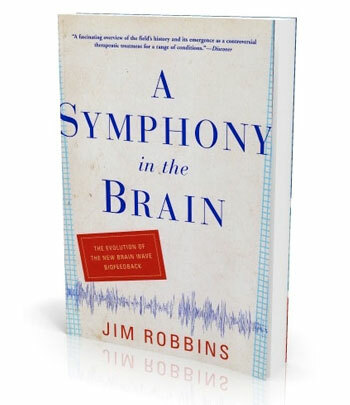 In the summer of 2010, during a brunch after a meditation program I led, a participant handed me the book, A Symphony in the Brain, by the New York Times science writer, Jim Robbins. He asked if I would give him my opinion about this new type of therapy called neurofeedback (or eeg biofeedback) that, as described in the book, was significantly reducing the symptoms associated with epilepsy, ADHD, PTSD, brain injuries, anxiety disorders, addictions, and more. I said I would but felt skeptical that anything that sounded so simple could help treat all those different conditions. I started reading the book and soon realized that it was doing for the autonomic brain what I was trying to do—only better and faster! The next goal was to understand how. Neurofeedback was training the brain to come back into the present and witness two events: the present external environment, specifically is there any threats or problems, and second, the internal environment of the brain, which includes all the it's mal-adaptive habits, such as an on-going stress response when there is no present danger. Once the brain witnessed its internal patterns and used the present environment as the reference point for whether the world is a safe place, or whether there are any real present dangers or anything to be angry, anxious or depressed about right now, it immediately went to work to corrent the internal patterns to accurately reflect here-and-now needs. Moreover, it was training the nervous system to drop whatever fixation the client was experiencing — to an storyline, a substance, a person deemed a threat, or to a feeling-that was habitual, and not appropriate for the present. While there are a number different EEG biofeedback devices on the market, after extensive research I decided on Zengar Institute’s NeurOptimal trainer for a number of reasons. The first and most important reason is that it is effective, non-invasive, and safe. The training adds nothing to the brain; it simply feeds back information and so minimizes any side-effects. The trainee’s brain automatically decides how to use that information to optimize it’s functioning. In this way it is non-invasive, nor is there an operator external to the system deciding what the brain needs. With other systems, a “trainer” uses protocols to train the brain of the individual for such issues as anxiety, ADHD, healing from brain injury etc. With NeurOptimal there are no protocols; rather the training provides a mirror for the brain to organically self-correct, as it is designed to do. An analogy: your body might be out of alignment, tilting, and you don’t realize it until you see yourself in a mirror, and then you straighten up. My First Guinea Pig: One of my first clients I sent to try the technology while I was still researching it, was Sarah. She had been with me for therapy for two years with a history of abuse, and a diagnosis of complex trauma/PTSD. She and I were hoping the brain training would help with one particular trauma response that would lead to problems in her daily life. Sara would respond with rage, verbally attacking or even physically, towards men close to her in crowded public spaces (for instance, in a crowded subway). After her seventh neurofeedback session she no longer felt anger in these situations but rather would notice her body shifting to create more space for herself: the brain responding appropriately and efficiently to the present moment. What a relief! 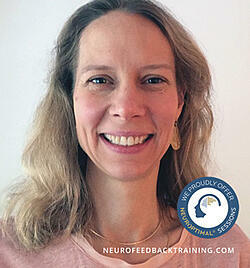 Natalie Baker, Advanced NeurOptimal® neurofeedback trainer, explains how neurofeedback works and why it is effective. Watch more videos here. The second reason I selected NeurOptimal was that it is less expensive for consumers than other systems that need an expensive brain map to be generated by a technician before training can be done, which runs between $500-1200, and that's before any training! The third reason I selected NeurOptimal is that it does not require me to become an expert in neuroscience. I can do my job: caring for my clients, and it does its job: giving feedback to the brain about its behaviour. The system is fully automated and designed so that successful training is determined by the client’s central nervous system noticing shifts in its thoughts, emotions and behaviour, not by a human “expert” interpreting a graph on a screen. And lastly, the fourth reason: clients could take the neurofeedback equipment home and train themselves. This option allowed me to offer the least expensive way to do neurofeedback. It also provided the opportunity for couples and families to help shift emotionally volatile and dysregulated dynamics within the family. For example, it's often the case that when a child is diagnosed with anxiety or depression there is also a parent with the same symptoms or a child diagnosed "ADHD" has a parent who is highly anxious. And their nervous systems reinforce the dysregulation rather than having the parent (alpha of the pack) brain setting the tone for the child's brain to come into regulated, calm state. Six years later, I am pleased to have found this amazing support for clients to ease their suffering and to enable them to live life to the fullest. What is the best Neurofeedback Equipment? Mindfulness for Performance Anxiety - Does Meditation Work?